The Town of Clarenville is an outstanding place to work, live and raise a family. Clean air, low crime rates and high quality service and recreational opportunities matched with boundless nature and outdoor potential make Clarenville a great place to call “home”. Recreation and active living opportunities in the town are endless, whether winter, spring, summer or fall. A variety of community based and volunteer based organizations and associations operate within the town; a strong community spirit is driven by the sense of pride shared by Clarenville’s residents. For more information on community groups and organizations and ways to become involved, visit our business directory. Clarenville’s residents enjoy a healthy life-work balance. A multitude of options to get involved, a short work commute, ease of service access and affordability of living, Clarenville invites its residents, current and new, to discover real life potential! For more information on career options and the local labour market, visit the ‘Department of Advanced Education and Skills’ Clarenville and Area Career Work Centre located at the White Dove Building, 294 Memorial Drive, or phone (709) 466-0275 or (709) 466-0276. The Packet, a weekly published regional newspaper, lists current job opportunities in their classified section. 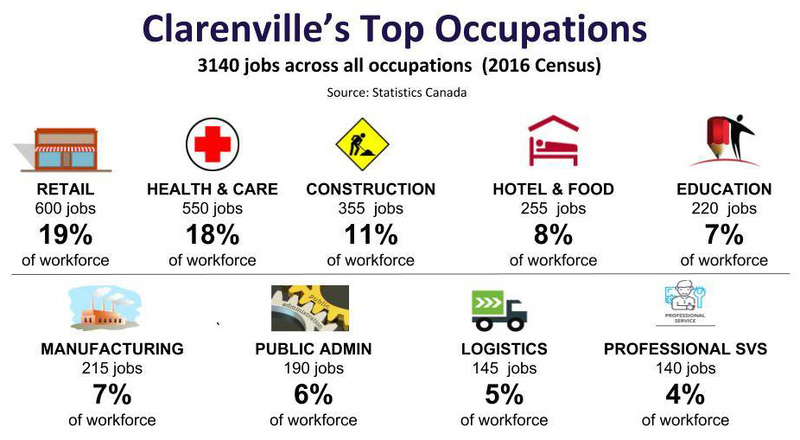 For information on employment opportunities with the Town of Clarenville, see the Town Hall Employment page.